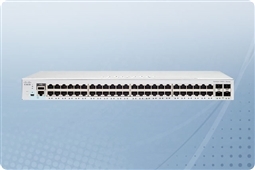 Cisco Catalyst 2960 Switches have an option for almost any connectivity requirement or business type! These versatile and reliable switches offer a range of features from small and medium size business class to enterprise class models, and are known for their value and low total cost of ownership. 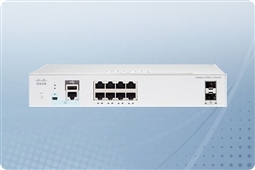 The Cisco Catalyst 2960 switch series offers cost-effective fixed-port stackable Layer 2 standalone access switch options that provide wire-speed Fast Ethernet or gigabit connectivity as well as power over Ethernet (PoE) on select models. The 2960 family offers software features and a range of configurations to allow small businesses and branch offices to select the proper solution for the network edge. 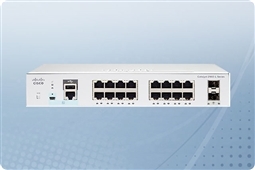 Cisco Catalyst 2960 Series Switches with LAN Base software deliver enhanced integrated security, advanced quality of service (QoS), high availability, and scalable management. 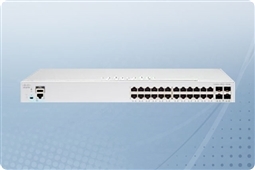 Aventis Systems is proud to offer Cisco Catalyst 2960 Switches in a variety of port sizes and features. 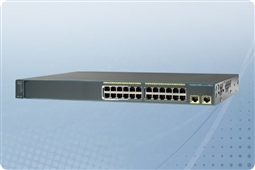 Port sizes for the Cisco 2960 Series Switches are 8, 24, and 48 Ports. Many Catalyst 2960 Switches also come with PoE and additional expansion slots. All Aventis Systems Networking products come with a standard 1 Year Aventis Essentials Warranty with upgrade options to Express and Extended Warranties as well as Onsite Support Service Level Agreements. Choose from our product options below and bring the most versatile and budget friendly connectivity option to your business today with the Cisco Catalyst 2960 Switches!